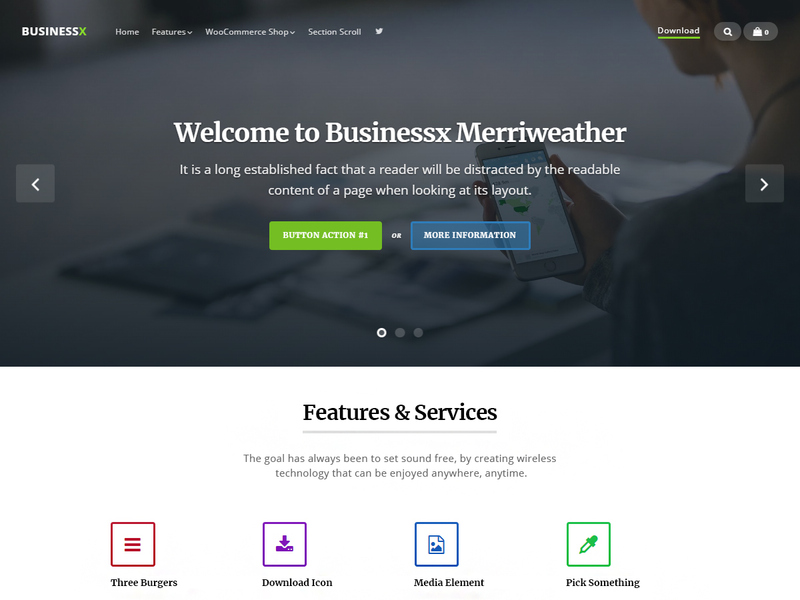 Businessx Merriweather is a child theme of Businessx. It adds support for Merriweather/Open Sans fonts combo and some typography styles. Businessx is a modern one page WordPress theme with WooCommerce & Polylang support, perfect for any business, agency or blog. With the help of the free Businessx Extensions plugin you will be able to add 14 sections (Slider, Features, About Us, Team, Clients, Portfolio, Actions, Testimonials, Pricing, FAQ, Hero, Blog, Contact, Google Map) to your homepage and position them as you want on page. Download this plugin from: https://wordpress.org/plugins/businessx-extensions/ & Full Demo: http://demo.acosmin.com/themes/businessx/ .